Former Manchester United and West Ham player, Ravel Morrison was pictured at the Nou Camp when Barcelona defeated Manchester City 4-0 in the UEFA Champions League. The Lazio midfielder is yet to play for his club this season. He seems to have spent way more tome travelling to see others playing than actually playing himself. The 23-year old star was one of the youth stars many would have sworn would become a global football brand due to his raw talent. The player enjoyed front row seat as Barcelona humiliated their former Manager – Pep Guardiola. Morrison’s career has been gradually winding down since his move to Italy. The youngster has played 159 minutes, contributing no goals or assists. He watched as Lionel Messi and Neymar proved their selves. 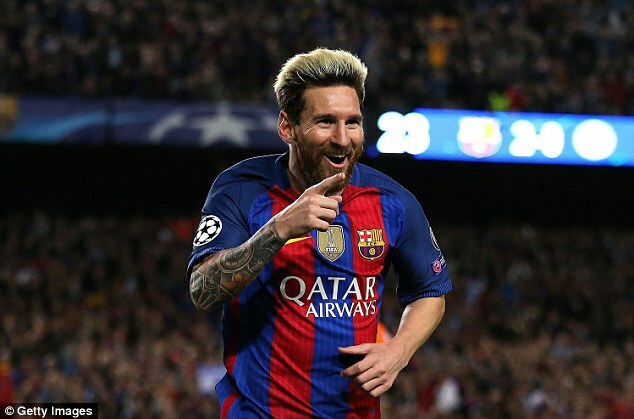 Messi was the man to watch as he killed the game for the Catalonia-based outfit. Continue reading "RAVEL MORRISON WATCHED BARCA THRASH CITY"
All summer there have been a lot of speculations regarding the return of former Red Devils player Ravel Morrison to England. The Lazio midfielder was reported to be set to join English Championship side Aston Villa as they fight to return to top flight football. On Twitter, Morrison was a major subject of debate until the owner of the club Dr. Tony Xia ended the speculations. “Until today, he hasn’t been on our list,” Dr Tony tweeted from his personal handle. Villa are on the market for a creative player to boost the attack of the squad. They have been linked with a transfer of Patrick Bamford from Chelsea on a loan deal, with many factors yet stalling the deal. Morrison’s transfer to Villa remains uncertain, as other clubs that have been linked with the player this summer. Ravel was in the news this summer when he posted a link to a video of a chipped penalty whilst in action for Lazio in pre season games. He posted the link during the heat of argument about the Paul Pogba deal. Morrison was one of Manchester United’s best prospects, and he partnered with the Frenchman in the youth team. He was skilful, athletic and balanced as a player. Red Devils legend Rio Ferdinand even disclosed that he remains the best youth player he has seen at Old Trafford, but the player just couldn’t live up to his potential. Continue reading "MORRISON’S SWITCH TO ENGLAND UNCERTAIN"
Aston Villa being listed among the favorites with BetVictor is all set to sign the former Manchester United midfielder Morrison for this summer. Villa having the closest rivals Swansea and Everton as the midfielder in the race is keen to make it to top by signing Ravel Morrison. There has been no suggestions made by Roberto Di Matteo at Villa, although the news in on and under development. There is no denying that Morrison would be the best addition for Aston Villa. The attacking midfielder will certainly improve the squad quality if the deal gets finalized and completed. The 23 year old midfielder is now at Lazio and his stay in Italy seems to be coming to a halt. This is due to the fact that the player has not played much for Lazio after he moved there in the year 2015. Hence, he needs to show his worth which will add to his career development. Morrison is highly talented but it needs to be showcased well enough to earn more popularity and success in his career. Continue reading "Aston Villa To Sign Morrison This Summer"
Stan Collymore writes in the Sunday People that the player must have Ravel Morrison sad tale in mind if he wants to make it to the top. 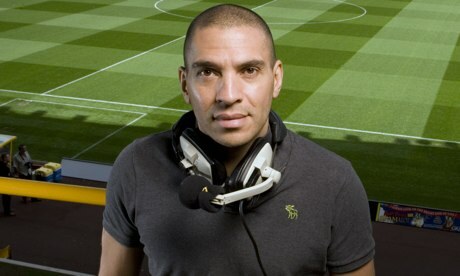 Collymore writes that like a lot of teenage boys, Marcus Rashford’s bedroom walls will probably be adorned with posters of the hottest models and his ­biggest football heroes, but right now he needs to look at only two pin-ups when he opens his eyes every morning: Ruud van Nistelrooy on one wall and Ravel Morrison on the other. “Van Nistelrooy will remind the latest talent to emerge from the Manchester United production line of everything he can achieve at the club through hard work and dedication. Morrison, however, will serve as a cautionary tale of what ­happens when you don’t make the most of your ability. I watched a show called London Live last week on which Jason Cundy, the former Chelsea and Tottenham defender, interviewed West Ham’s James Tomkins. Tomkins said that Morrison, by a country mile, was the most ­talented player he had ever trained with. Continue reading "COLLYMORE: RASHFORD SHOULD HAVE RAVEL MORRISON’S TALE AT THE FOREFRONT OF HIS MIND"
English player, Ravel Morrison could be heading back to the UK after a disappointing season with Italian side, Lazio. The attacking midfielder is widely linked with a return to England after failing to score any goal or provide any meaningful impact for his club. Ravel Morrison started well with Birmingham in the 2012/2013 season in England where he was on loan from West Ham. He played 30 matches for the English club and scored 3 goals. He returned to West Ham after his loan spell before going on loan to Queen Park Rangers in the 2013/2014 season. He also spent time in Cardiff on loan before returning to West Ham again at the end of the loan. He was unattached last season before eventually getting the Lazio contract. The 23-year old signed a four year deal with the Italian outfit. The young talent has not started any match this season for the club. Of 32 matches this season in the Serie A, he was in the squad 19 games and sat through 16 matches. In the last three Serie A matches against AC Milan, AS Roma and Palermo, Morrison was not in the squad. The former West Ham player has really struggled at the club. Morrison was linked with a return to his former club, West Ham aside other English teams like Swansea, Derby County and Bournemouth. Continue reading "RAVEL MORRISON COULD GO BACK TO ENGLAND"
It’s been over 7 months since Landon Donovan announced his retirement and stepped down from playing football at a competitive stage. The retire American has been spending his time travelling as he visited India, the Maldives and Peru. In a recent interview, Donovan revealed that he does not have desire on making a return to the playing grounds but there are a few aspects of his former life that Donovan does indeed miss. Landon Donovan continued on saying that he still continues watching matches of LA Galaxy and has attended some of their games by going to the stadium but there are moments when Donovan feels like he can help out his former team and would like to get into the pitch and help them out. One of the dreams that Donovan has stated on numerous occasions is to turn into a coach as he wants to be the coach of the American national side but another one of things that Donovan wants to accomplish is to be the owner of a sports team. “I have always had a dream to be an owner of a sports team, and hopefully an MLS team. If that opportunity presents itself, or something as a high-level executive, that’s something I would certainly look at seriously.” Landon Donovan added on. Continue reading "Donovan has hinted out the possibility of owning a MLS team"
QPR are reportedly considering making an offer for attacking midfielder Ravel Morrison, who is currently with Italian club Lazio. Despite being regarded as one of the most talented players of his generation, the career path of the former Manchester United trainee has been on a downhill ever since he gained his first contract at Old Trafford. A number of managers like Sam Allardyce and even Sir Alex Ferguson has given up hope on Morrison, but the England under 21 international has received a strange backing from former Tottenham boss Harry Redknapp. Currently out of work, Redknapp is looking to return to management but not anytime soon. He has not experienced Morrison as a person, but Redknapp believes that the 22-year-old can still become a great player that many expected him to become. He has urged to QPR to take a gamble on the player. Newly relegated QPR face an uphill battle in order to get back into the Premier League partly because of their immense financial troubles. It would not allow them to spend a considerable amount of fees on players, while also requiring them to sell existing stars like Charlie Austin. In such a scenario, QPR recruitment chief Les Ferdinand recently confirmed that Morrison remained a transfer target for the club. Continue reading "QPR are reportedly considering making an offer for attacking midfielder Ravel Morrison"
It seems Ravel Morrison is not going to stay in England any more. The youngster, who is a product of the Manchester United Academy, is all set to pen down a deal with one of the top flight Italian clubs i.e. Lazio. The previous weekend, Morrison was seen in Italy and according to the reports, he was there for having the medical test which is mandatory before the finalisation of a player’s contract in professional soccer. The medical is believed to have gone alright and it’s just a matter of a few formalities before Morrison officially makes his way to Stadio Olimpico. Continue reading "Ravel Morrison wont stay in England"
QPR manager Harry Redknapp has hinted that he may be ready to make a move for midfielder Ravel Morrison in the January transfer window. The 21-year-old has played in only 33 minutes of Premier League action before being sent out on loan to championship outfit Cardiff City. He will be spending the next few days at Cardiff before returning to West Ham just before the start of the January transfer window. Since he has had very limited impact at Cardiff, it looks highly unlikely that West Ham will be prepared to have him in the squad at a time when they are flying high. Sam Allardyce has entirely transformed this West Ham team into an attractive unit which can also win matches. They have a real opportunity to finish in the top four, and Allardyce will be prepared to sell Morrison in order to buy new players. Redknapp has worked with Morrison in the past and he says that the England international remains a great talent. The former Manchester United man has had difficulties with his character, but Redknapp was one of the few managers who got the best out of him. A reunion will help QPR improve the quality within their ranks. “I liked him.I think I might be his last chance. He has got to sort himself out. Fergie ended up getting rid of him, Sam got rid of him and they are top, top managers.He has obviously got to look at himself somewhere but I’m open to taking those chances with people. I have done it over the years and so maybe I will do it.He is an amazing talent, I have got to be truthful. He glides over the pitch and has the ability to beat people but he doesn’t put it all together,” said Redknapp. Continue reading "Harry Redknapp may move Ravel in January Transfer Window"